Review Summary: A masterpiece used for its purpose, a little mundane left on its own. If you were to pick a genre from video games, Horror is probably pressured the most to utilize its music to the full; if the music isn’t right for the game then it doesn’t matter how perfect the game might play, it will never reach its optimum potential. In 1999 Keiichiro Toyama and Konami Computer Entertainment Tokyo (KCET) created one of the most terrifying experiences to come out of any field of entertainment: that game is Silent Hill. Silent Hill is a fully 3D horror game -- as opposed to the 3D rendered backgrounds of most horror games of the time -- that sent you to a quiet little fog filled town, fending off all manner of disturbing creatures and monsters in search for our hero’s daughter. Throwing you into locations that look like normal everyday places: schools, hospitals, etc, and having you eventually watch them morph into burnt, rusty worlds of Hell. The game truly terrified my 13 year old self, and, to this day, even with its graphical limitations, this is probably the one game that still sends me into a cold sweat. Silent Hill, however, wouldn’t stand up quite as well as it has today had it not been for Akira Yamaoka; long time composer of the series until 2009, when he departed the franchise. Many will agree Silent Hill 2 is regarded as the series’ creative peak, which is coupled together with an extremely emotional and disturbing score that, in hindsight, feels like a more complete album with fleshed out songs. But its purpose is also very different to what the original OST sets out to do. The original Silent Hill OST is a much more gritty, ambient and electronic affair, aiming more to scare the living daylights out of you rather than play with your emotions like SH2’s goal is. That’s not to say there aren’t any really great standout tracks to fully enjoy on their own; the self-titled track is a key indication that Akira knows how to make a heart-string tugging melody, which features tremolo on an acoustic guitar underneath the music and it oddly works perfectly with the song, while "Tears Of..." is another one that knows how to play with your emotions very well. But this is a 42 track album and only a handful of the songs on this album are in the same vine as ‘Tears Of...’ and the self-titled track. The majority of the album is dark, disturbing ambient music that leaves you on edge. It reminds me quite a lot of early Nine Inch Nails work, or Trent Reznor’s Quake OST. To get the full enjoyment out of this OST it’s recommended that you listen to it as a whole, as the music, most of the time, is all connected together. And this is also what goes against it; when you get about halfway into the album you get the feeling some of the tracks could have been cut out to avoid getting repetitive or dull. Unfortunately you do end up feeling occasionally bored due to it being so stretched out. Overall, this is a masterpiece, but it’s one that only really shines when it’s in the game. It really magnifies the terror while you play the game and eventually breaks you down leaving you a shaking mess. On its own it’s an enjoyable listen, but one that will occasionally leave you feeling a little bored at times. There are some really great standout tracks, but this album sticks very close to the game, meaning it doesn’t stand up very well on its own, and thus won’t be for everyone. Still, few composers really know how to get the maximum amount of emotion and terror out of the player, quite like Akira. And for that reason alone this OST is worth spinning once. Finally got round to reviewing this. As always constructive criticism welcome guys. As dank as the album itself. Some seriously unsettling stuff on this album, like. It is groundbreaking Mo, but in terms of listening to this as a standalone album it just doesn't really bring a lot of excitement to the table, like Akira's other OTS's. "created what I consider to be one of the most terrifying experiences"
You should cut the "what I consider to be" part. Aside from it being obviously true it's your review so the whole review is "what you consider". Good point. I'll correct it. Absolute essential for gaming soundtracks and a master class in ambient horror. I wish this game got a Resident evil style remake. except it doesn't need one, contrary to REI. 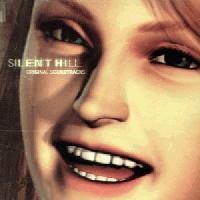 SH2 soundtrack is better musically, yea, but overall as what it is supposed to be, I prefer this ev'ry day.